We have come up with what we feel is the best pricing in the COLOCATION industry. Our prices are generally $20-$500 LOWER than our competitors. Most ISPs are not setup to be competitive in the COLOCATION industry. We consistently monitor our pricing to be the most competitive in the industry. Our pricing starts at $9.95 for a cloud server, $29.95 for a virtual server and $54.95 per for a 1u server. The Charlotte Colocation Center takes pride in providing some of the lowest latency rates in the industry. Our network allows us to offer the highest speed and most reliable connections available. What is latency? Why should it concern me? Latency is the amount of time it takes to get a response. In other words, when you use your web browser to visit a website, there are 3 factors: 1) Latency of the Routers, 2) Latency of the Server, and 3) Congestion on the connections. Latency plays an important part in two of those 3 factors. When you request a page, your browser has to generally request 6-10 images to produce that page. Each request needs to get a response from your server. Problems arise when the ISP's routers are too slow to respond because they are too congested or too low-end. This latency adds seconds onto each page's retrieval amounting to a slower overall viewed connection. If your latency is not very low, it will deter many of your potential visitors away from your site. How much bandwidth/traffic am I allowed per server? This depends on the COLOCATION package you purchase. The Charlotte Colocation Center starter package allows for 650 GBs / 2 MBs of allotted bandwidth per month. We also offer larger bandwidth packages and capped pipe rates. 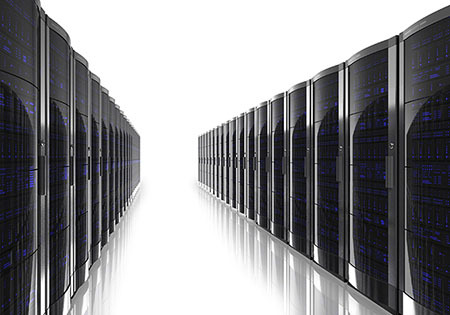 Can I run my own Web Hosting company using your COLOCATION service? The Charlotte Colocation Center's clients have the ability to operate whatever internet-based business they choose, as long as it is not illegal. Our clients range from companies just starting up,financial and medical firms,telephone companies,ISP,WISP,law and engineering companies,gamers,bit coin,and high-demanding entrepreneurs. Whatever your business, ours is to provide you with our high-speed,reliable Data Center services. How many IP Addresses am I allowed to have? The Charlotte Colocation Center will honor all reasonable IP requests from our COLOCATION clients. All IPs must be legally justified with ARIN. Where is your COLOCATION facility located? The Charlotte Colocation data center is located in the heart of Mecklenburg County in Charlotte, North Carolina. Our Data Centers are located in South Park and also in Innovation Park (University area). What if my server has a problem while it is colocated at your location? During normal business hours, you may contact us immediately. After hours, please call us and a technician will be dispatched to meet you at the data center or work on your server for you. Priority customers will receive 24/7 access via our key FOB system. Can I visit the facility to work on my server myself? You are more than welcome to come to our facility by appointment to work on your server, whether its to fix a problem, or to upgrade hardware. We also have our own engineers who will be glad to work on your server at an hourly rate. Is there an engineer onsite 24 hours a day at the facility? The Charlotte Colocation Center previously offered 24-hour onsite technical services and found that it was not the most cost-beneficial use of our engineers. Instead, we equip all of our colocation clients with emergency phone numbers and the ability to page our engineers should an emergency arise after hours. Our prime location in Mecklenburg County also allows us to have an engineer onsite quickly to handle any emergency that may arise. Do you have Crash Carts Available? Yes, we do.We have several roll around carts with keyboard,mouse,and monitors avlaible for your use. What do I need to colocate my server? Please bring with you your own power cord, 6-10ft Ethernet cable, square or round hole rackmount rails.